Many pickups trucks have gone soft in recent years. Here are two exceptions that really are ready for anything. The full-size Ford F-Series didn’t achieve its best-seller status by resting on its past successes. Which explains the existence of the high-performance Ford F-150 Raptor. The four-door crew cab Raptor I drove frankly looked like it could eat other pickups for breakfast. Unlike many special-edition models, however, this next-generation Raptor is more than just a cosmetic upgrade. In other words, it’s got the goods to back up its mean looks. After all, this is the truck that, in stock form, managed to finish the grueling Baja 1000 off -road race. It then was driven 400-odd highway miles back to the team’s shop. And therein, folks, lies the big, bad Raptor’s secret. While it may look intimidating on the outside and there can be no arguing its off -road resume, in everyday driving this 7-foot-wide beast is downright docile. On the pavement (where, let’s admit it. 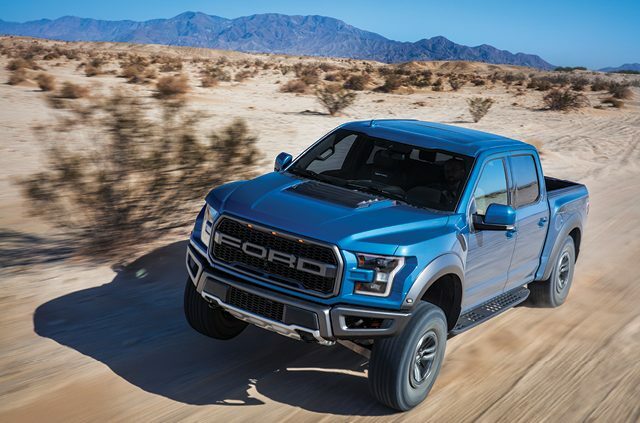 it’s likely to spend most of its time), the Raptor is more than just livable. It’s actually a pleasure to drive. 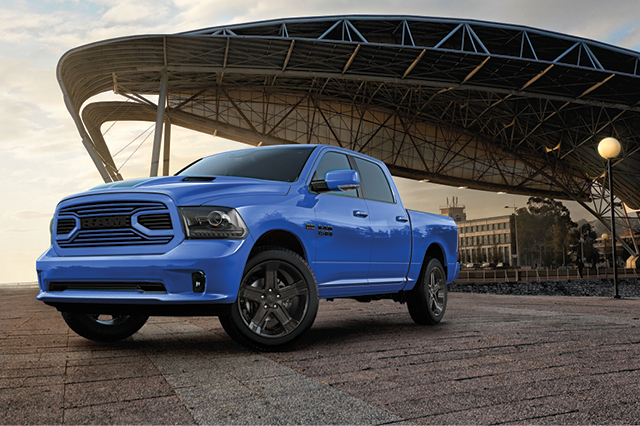 There is that rumbling exhaust note from the 450-horsepower V-6’s dual exhaust to remind you that this is no ordinary truck. Other than that, though, the F-150 Raptor is as domesticated as your child’s pet lizard. Maybe you’re one of those rare truck owners who actually does like to venture off -road occasionally. 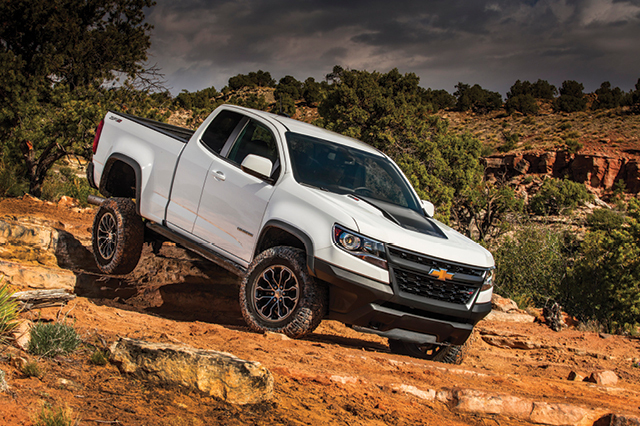 For you I have what may be the ultimate in no-compromise compromises – the Chevrolet Colorado ZR2 pickup. If that sounds like an inherent contradiction, well, that’s the ZR2. A midsize truck designed for those who want one vehicle they can use to commute to work and then take to play in the dirt on the weekend. The secret weapon of ZR2 models like the extended-cab version I drove lies in a race-bred suspension that makes it 2 inches wider overall and gives it a 3.5-inch wider track. 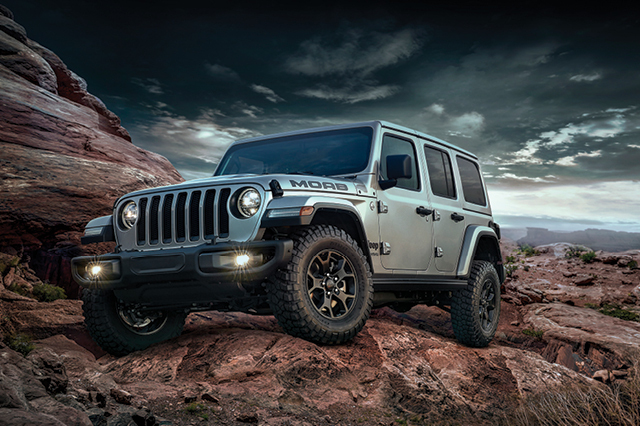 Created in a collaboration between Chevy and the Multimatic-brand’s engineers, the shocks are tuned for both a smooth ride and confident handling on the pavement and maximum capability off -road. Add off -road goodies like standard locking differentials and my test truck’s scrappy 2.8-liter turbo-diesel engine (a 3.6-liter gasoline V-6 is standard) and you’ll find the Chevrolet Colorado ZR2 to be one of those rare no-compromise pickups that’s just as satisfying off the asphalt as it is on it.